Retirement expert Wade Pfau discusses the risks of the traditional rule for retiree spending. 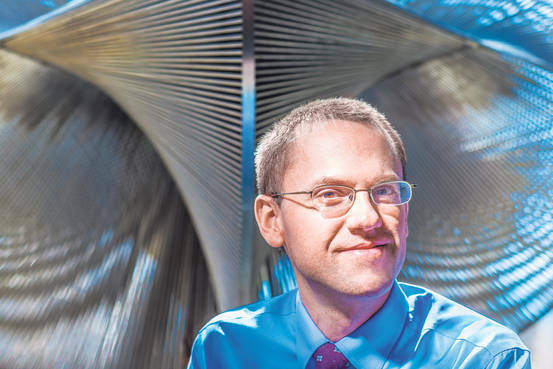 Pfau, 37, spent the first decade of his career teaching economics to bureaucrats from emerging markets at the National Graduate Institute of Policy Studies in Tokyo. But he has long had an interest in retirement, going back to his doctoral thesis, which focused on President George W. Bush’s Social Security reform proposal. Pfau came into the limelight in 2010 with a paper that poked holes in the 4% rule long used in financial planning to help retirees spend a nest egg judiciously. After data showed that the rule, which posits the withdrawal of 4% of a portfolio in the first year of retirement, with annual adjustments for inflation thereafter, had worked in only two of 20 developed countries -- the U.S. and Canada -- Pfau dug deeper. He found that the rule wouldn’t work in a number of circumstances, including retiring during a market downturn and in a period of historically low interest rates. Pfau is now a professor of retirement income at the American College of Financial Services, in Bryn Mawr, Pa., and teaches financial planning. He also serves as director of retirement research at McLean, Va.–based McLean Asset Management, which oversees $640 million. His most recent research creates a framework to compare some of the variable-withdrawal strategies used by financial advisors, including the 4% rule and variations of it. He ran simulations on the methods’ models, as presented in Journal of Financial Planning articles, to analyze the type of flexibility they offer and how well they work. We spoke with Pfau about the problems with the 4% rule, potentially better options, and how to adjust investments and spending at the start of retirement. Wade Pfau: Where to begin.…It’s not always appropriate. The rule suggests that if retirees withdraw 4% of their portfolio in their first year of retirement, and adjust that initial amount for inflation in subsequent years, they’ll have a low risk of depleting their portfolio in 30 years. In 1994, a 30-year retirement was a conservative assumption -- retiring at 65 or even 55 and living another 30 years was well beyond average life spans. But today, there is a 50% chance that one member of a higher-income, 65-year-old couple will live until 95. What else troubles you about the 4% rule? The rule is based on the worst case in U.S. history [the Great Depression]. But the 20th century was a special case -- the U.S. became the world’s leading superpower. When the stock market declined, it recovered quickly. It took longer to recover during the Depression, but bonds did well enough to save the 4% rule. The rule also depends, in part, on interest rates to generate income; now people have to spend their principal to meet the 4% withdrawal rate. It is also more exposed to sequence-of-returns risk, which amplifies the risk that retirees’ portfolios won’t last through their lives. If you suffer a market downturn early in retirement, and you are spending while your portfolio is declining, you are not going to get the full benefit of a market recovery. How should retirees evaluate the market? [Robert] Shiller’s P/E ratio [price divided by 10 years of inflation-adjusted earnings] is a good predictor of declines in sustainable spending rates. The stock market’s high P/E combined with low interest rates creates a risky environment for retirees invested heavily in a portfolio of stocks and bonds. If 4% is the wrong starting point, where should retirees begin? For inflation-adjusted spending, 3% is a better starting point. If 3% is too low, you can withdraw more if you’re willing to be flexible with spending. Or you can avoid self-managing the risks and include an income annuity to cover basic expenses over the course of your retirement. Are medical and long-term costs baked into that basic expense number? No. That’s an extra amount on top of what you need to cover your normal lifestyle expenses. The Employee Benefit Research Institute estimates that a 65-year-old couple should save between $241,000 to $326,000 to cover medical and drug costs. That doesn’t include long-term care. How do you hedge market risk? Have a less volatile portfolio, like a 30-year bond ladder, or be flexible with spending. Either can help to reduce the risk of sequence of returns. If you can cut spending after market declines during your retirement, you can spend more initially and still make it work. Another option is reducing volatility when you are most vulnerable -- early in retirement when you have the largest portfolio. I’ve done work with financial advisor Michael Kitces [who works at Pinnacle Advisory Group and writes extensively on retirement issues] on increasing the allocation to stocks as people get further along in retirement, as a way to manage risk. That runs counter to the conventional wisdom of reducing your stock holdings as you age. That may work in pre-retirement but not in retirement. Historically, the worst-case retirement scenarios include poor market returns early on. If you have a higher stock allocation when getting poor market returns and lower it when the market gets better, you end up with a worse outcome. It’s exactly the scenario in which a rising equity allocation over retirement would help. But if you have more in stocks later in retirement and the market falls, aren’t you in worse shape? Not if you have a conservative starting withdrawal rate or a variable spending rate. You would still have enough money to fund your retirement. What is the right stock allocation and how should retirees increase it over time? The 4% rule research recommends starting with 50% to 75% in stocks. It should be more like 30% to whatever someone is comfortable with -- perhaps 60%. We don’t yet know the optimal amount of increase in stocks, though increasing the allocation to stocks by 2% a year was better than 1%. We didn’t test higher increments. Your latest research looks at 10 different variable-spending strategies. What were you trying to determine? Variable-spending strategies are on a continuum between spending a constant amount from the portfolio each year, without regard to the portfolio balance, and spending a fixed percentage of the remaining balance. But these strategies are difficult to compare because they have different assumptions. Some use a set period of time, like 30 or 45 years, while others used life-expectancy tables. The approaches using a fixed amount of years tended to allow for higher initial spending, and kept the amount retirees could spend relatively steady. The actuarial approaches are steeped more in a “safety first” philosophy and call for more frequent adjustments in spending. You also analyzed the required minimum-distribution method used by the Internal Revenue Service. How did that fare? It tends to be too conservative in how much a retiree gets early in their 60s or 70s, but lets them spend a lot of money in their 80s. If they make it into the 90s, there is not much left. That’s not necessarily the path retirees want. Which method has the most potential? I’m leaning toward some combination of an income annuity and a method used by [Cornerstone Wealth Advisors’] Jonathan Guyton, whose model I simulated. It’s a complicated set of rules but adjusts spending based on the market, limiting the fluctuations in the withdrawal amount to only 10%, and only when absolutely necessary. The initial withdrawal rate is between 4.8% and 6%, based on the stock/bond mix. At the end of each year, the retiree takes the preceding year’s withdrawal amount [in dollars] and adjusts it for inflation. But there are guardrails against big market swings: If that amount divided by the current portfolio balance equals a withdrawal rate of 20% more or less than the initial rate, the retiree adjusts the amount they withdraw that year. No annual withdrawal is more than 10% more or less than the year before. That flexibility enables them to start with a higher withdrawal than if they were just following the 4% rule. If you’re not willing to be flexible in how much you withdraw, you should probably stick to a 3% rate. Why use an annuity along with it? The income annuity provides protection on the downside. You can invest enough that the annuity payouts will cover your essential spending, and the rest of your portfolio you can invest more aggressively. The annuity effectively replaces the bond allocation for retirees. A lot of traditional wealth managers really hate income annuities, but it’s hard to make a strong argument against them. You also get the added benefit of mortality credits, which is the boost a retiree gets from pooling his mortality risk with others who may not live as long. The case is even stronger for a couple, since the chance of one of the living to 95 is greater. But with interest rates near historic lows, it doesn’t seem like a great time to lock up money in an income annuity. Investors could put money into income annuities over time, rather than all at once. Doing so also helps diversify between different companies and stay under the state limits to have that money guaranteed -- the limits vary but are often around $100,000 [per owner, per issuer]. How does asset allocation change the withdrawal equation? I have created an online retirement tool that gives pre-retirees a target of how much you would want saved to implement a withdrawal strategy. If a couple saved 15% a year for 30 years and put their entire nest egg in a 30-year bond ladder of TIPS [Treasury inflation-protected securities], they would get a higher initial withdrawal rate than investing in a volatile investment portfolio. If you have stocks and bonds, there is more upside but also downside risk. A bond ladder with a 3.65% withdrawal rate, adjusted for inflation, will give you a 90% likelihood of not running out of money after 30 years. Unlike [with] a traditional bond ladder, the retiree uses the cash flow from each year’s maturing bond, rather than reinvesting it. The problem is what happens if they make it to their 31st year. An immediate annuity would offer a 3.75% rate and cover the couple for life. Both offer a higher initial withdrawal rate than what a stock/bond portfolio would allow for. While there is potential for upside in an investment portfolio, you need to spend less initially to protect against worst-case scenarios in the market. For a more conservative individual, that may be a question to really think about -- especially since these calculations only assume fees of 0.5%, which is below the average mutual fund fee. The main drawback of not using stocks is no upside potential. Using the Guyton method, a couple with a 50% stock/50% bond mix could start with an initial withdrawal rate of 5.3% with a 90% chance of not outliving their money. All this begs the question of how much money you need to retire. Determine the amount needed for basic expenses not covered by Social Security and pensions. A couple, for example, who need $100,000 from their portfolio every year for expenses and whatever taxes they may incur would need $2.7 million in an inflation-adjusted income annuity with a 3.75% payout ratio. They would need more if they plan to put some of their portfolio in stocks. Health and long-term care expenses require an extra amount on top of the basic-expenses estimate. The same goes for anything you want to leave behind in an estate. What is the take-away for retirees looking for a quick formula or rule of thumb? There are no easy answers. People shouldn’t spend more time shopping for their next vacuum cleaner than thinking about how they will manage their retirement income strategy.